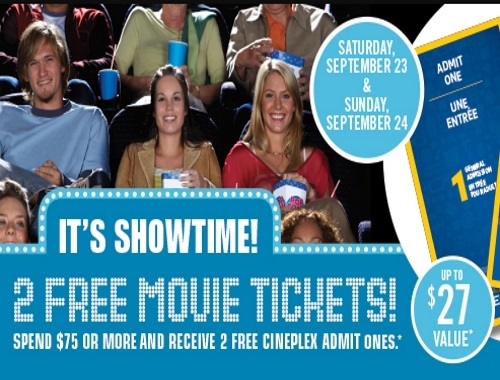 This Saturday and Sunday get Get 2 Free Cineplex Entertainment Admit One Tickets (up to $27 value) when you spend $75 or more on almost anything in-store at Shoppers Drug Mart! Offer is valid Saturday September 23-Sunday, September 24 only. While quantities last.